The campaign was aimed at enhancing online sales and the Exclusive Voucher for a Beauty (CSOMAG PLUS 2) was chosen as a communication tool. 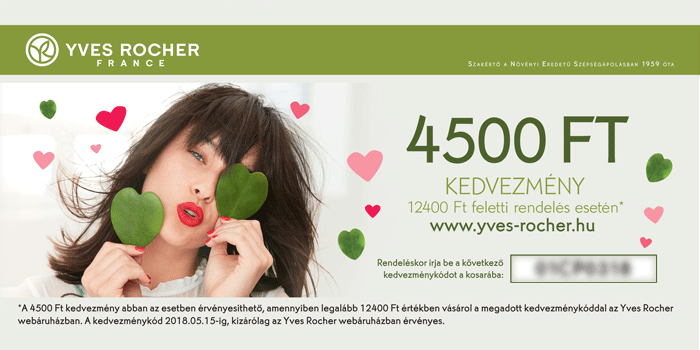 Yves Rocher offered a potential online buyer a discount of 4500 Ft for the purchase of French cosmetics, and on the other side Media Markt, one of Hungary’s largest electronics retailers, took advantage of a 15% discount when purchasing Philips personal care products and free shipping. The one-month acquisition campaign aimed primarily at female audiences has brought its results.